We visited a number of monasteries in the Boudhanath area of Kathmandu. They are all beautifully decorated and well maintained. 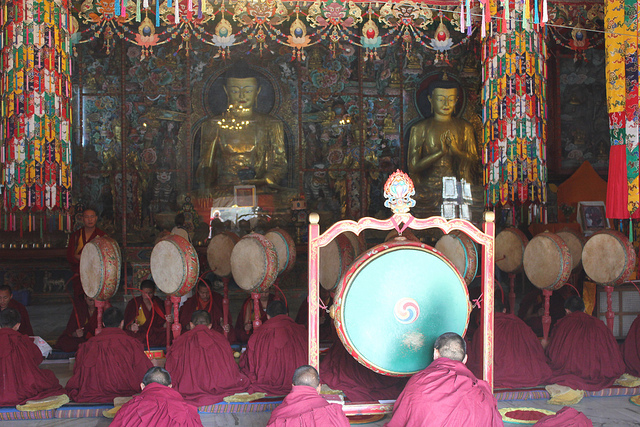 They were practising tsog’khorlo (gana puja). 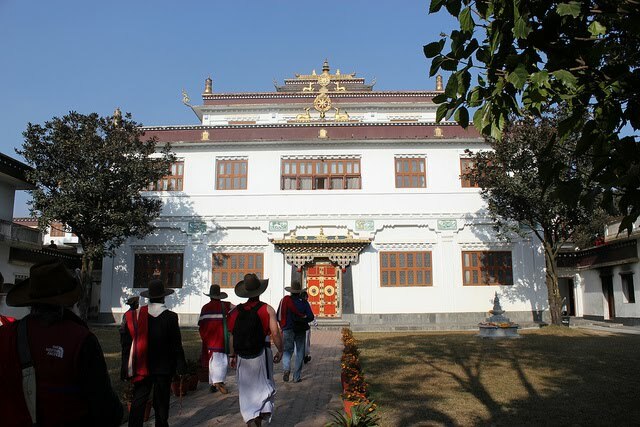 The White Monastery – which they kindly opened for us. 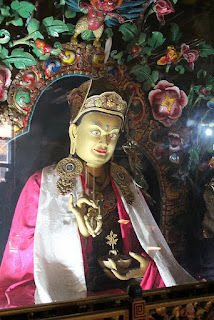 Also known as Ka-nying Shédrüb Ling. 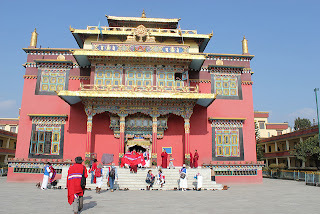 A Kagyu-Nyingma monastery. 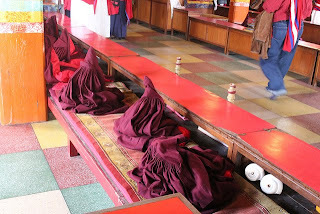 I love the way the monks leave their robes – almost as if they are still there. 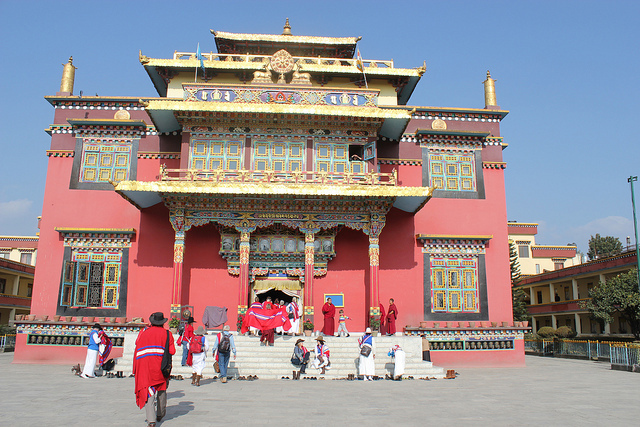 Finally we visited Düd’jom Monastery which is off the main street and does not have such an impressive frontage. Inside however it was the most inspiring with many wonderful statues and a feeling of being a place of continual dedicated practice over a long period of time. 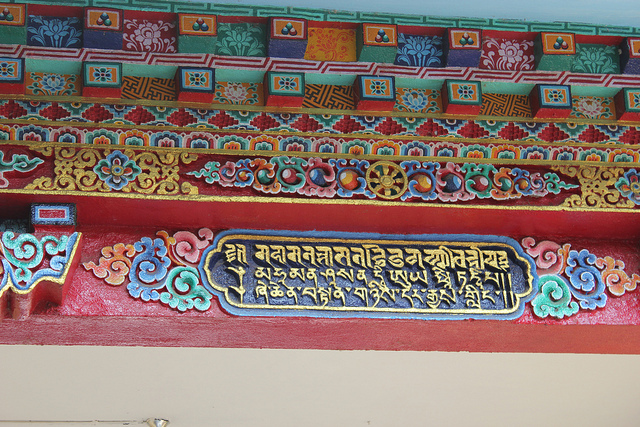 Lovely to see your shots of Boudha! I miss it and can't wait to be back! I invite you to view my travel photography blog, a focus on Himalayan areas/cultures. Thanks for the link to your blog Tammy. I've added you to my Google Reader list. Your post on beggars was most interesting. 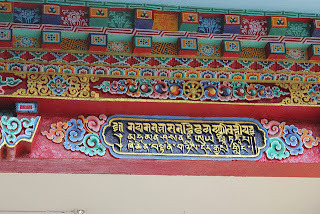 The Boudhanath young-woman-and-baby scam is asking you to buy milk which they then sell back to the shop and take a cut.